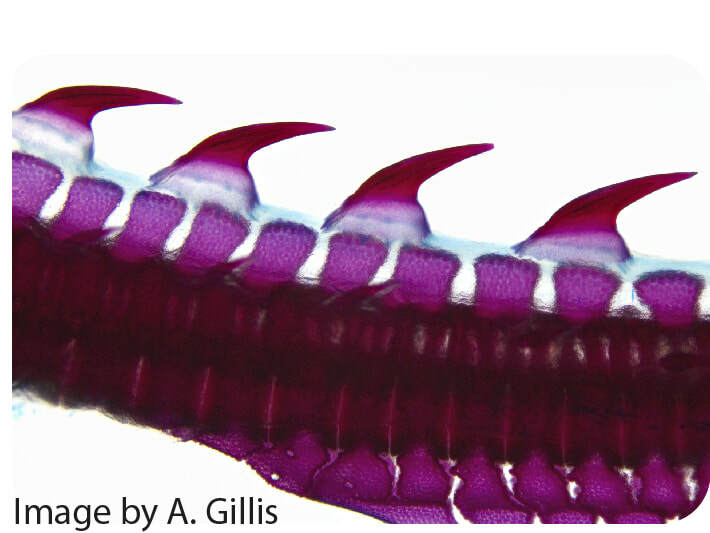 Over a century ago, Carl Gegenbaur proposed that the jaws and fins of vertebrates were derived members of a primitive series of gill arches. We are investigating and comparing the embryonic origin and patterning of the vertebrate jaw, gill arch and paired fin skeletons, in order to test these controversial hypotheses of serial homology. 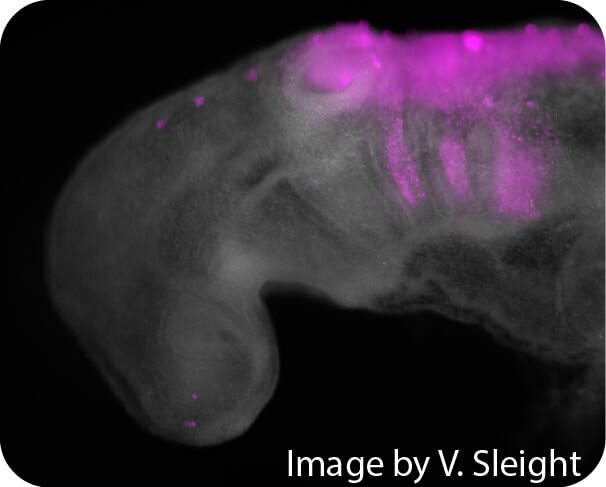 The origin of neural crest cells was central to the origin and diversification of vertebrates. Neural crest fate maps have been generated for a number of bony vertebrates (e.g. mouse, chick, frog and zebrafish), but nothing is known about the fate of neural crest cells in cartilaginous fishes (sharks and skates). We are fate mapping the cranial and trunk neural crest cells of the little skate, so that we may infer primitive neural crest cell fates in the last common ancestor of jawed vertebrates. Tetrapods possess a vertebral skeleton with cervical, thoracic, sacral and caudal regions, and these regions are delineated by combinatorial Hox​ gene expression in the embryonic trunk. Fishes share tetrapod-like patterns of embryonic Hox​ gene expression, but are thought to lack a regionalised vertebral skeleton. We are characterising Hox gene expression domains and their anatomical correlates in a cartilaginous fish, in order to reconstruct the evolutionary history of axial skeletal regionalisation in vertebrates. In mammals, cartilage is predominantly an embryonic tissue, making up the anlage of the axial and appendicular skeleton. The vast majority of mammalian cartilage is replaced by bone, with cartilage persisting permanently at relatively few sites within the adult skeleton (e.g. in joints, as articular cartilage). 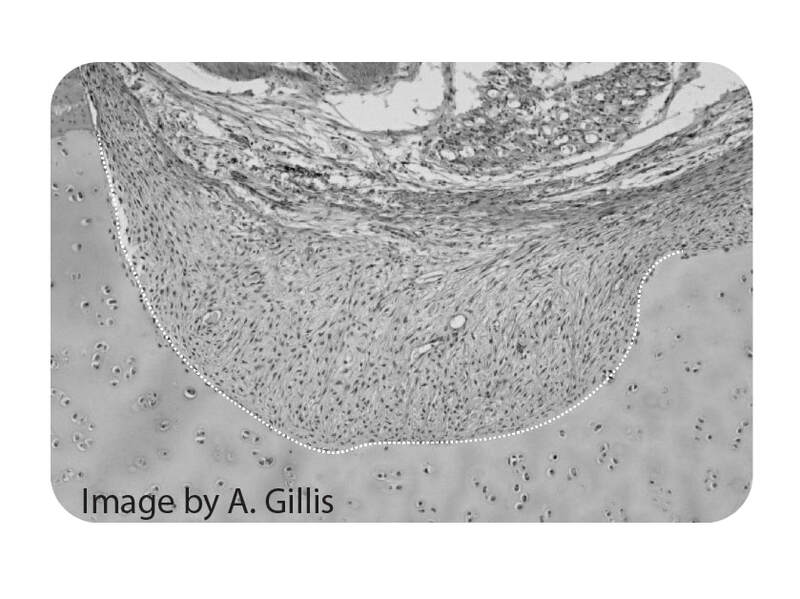 Evidence for the presence of cartilage progenitor cells in adult articular cartilage is scant, and this may account for why mammalian cartilage cannot heal spontaneously. Conversely, the skeleton of cartilaginous fishes is composed largely of cartilage, remains cartilaginous throughout life, and grows indefinitely. 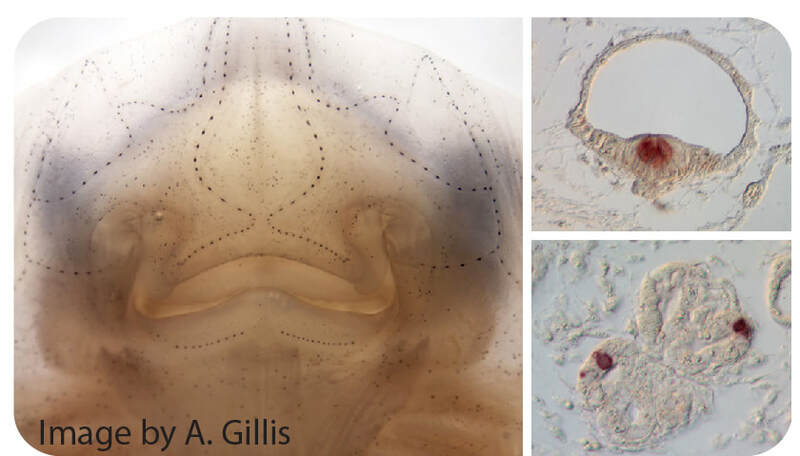 We are investigating the cellular and molecular mechanisms underlying cartilage development and growth in cartilaginous fishes, in order to gain insight into how adult chondrogenesis may be promoted in the mammalian skeleton. Cartilaginous fishes possess a lateral line system that includes mechanosensory neuromasts and electrosensory ampullary organs. These sense organs derive from specialised thickenings of skin on the embryonic head called lateral line places. 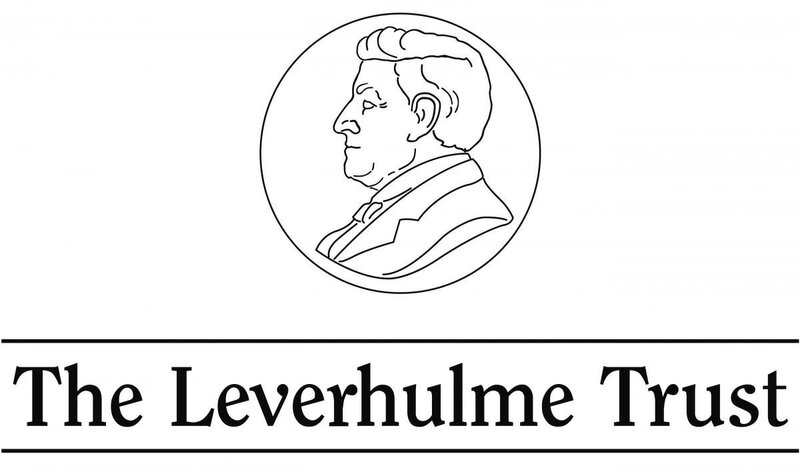 With the lab of Dr. Clare Baker (Department of Physiology, Development and Neuroscience, University of Cambridge), we are investigating the molecular mechanisms underlying mechanosensory and electrosensory receptor cell development, and using comparative analyses of neurogenic placode fate to reconstruct the ancestral vertebrate sensory repertoire.